A Bird Hunter's Thoughts: Day One. Season 23. We arrived with three hours of daylight remaining. 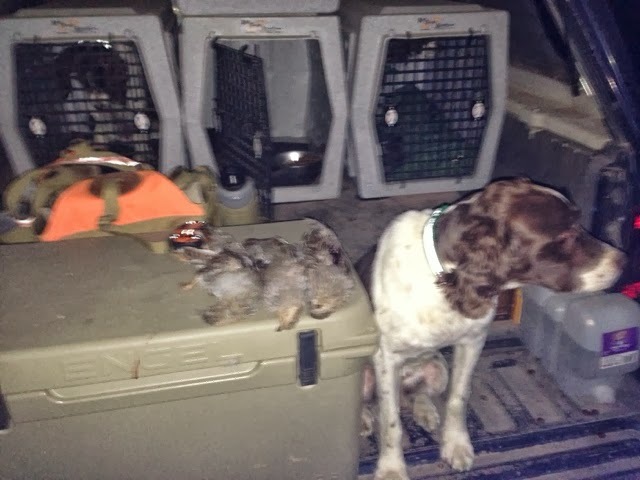 Bandit was up first and had a couple hard points, but nothing to show. Ace and Cap were next. We moved to another alfalfa patch and got one covey 50 yds from the truck! When the smoke cleared an hour or do later, I had 5 covey rises and was 3 for 3 on Huns. It took a little bit for the boys to get their legs under them. But they were spot on when they did.